Despite the versatility of the Good Work Toolkit, one space to which it was not immediately adaptable was the elementary classroom. 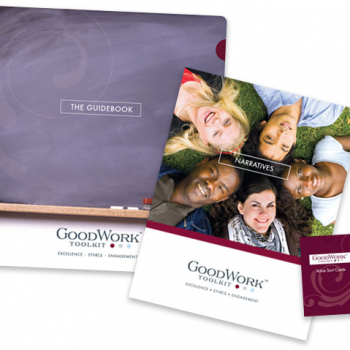 The Good Work Toolkit was initially designed with high school students in mind, and although older students and professionals were able to readily repurpose and use the materials, it was less accessible for a younger audience. 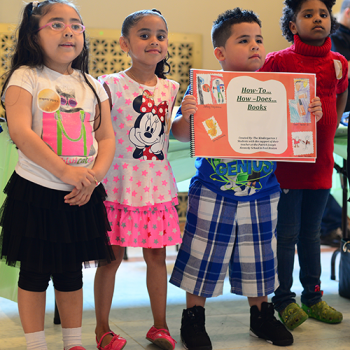 At the annual Project Zero Summer Institutes, elementary school teachers frequently asked if we had materials for their students. We realized the need to adapt the Toolkit for a younger audience, as the message of carrying out responsible, high quality, and honest work is one that is important at any age. The sooner students begin to appreciate ethics, excellence, and engagement as workers and citizens, the more powerful their understanding will be.